The international tiger day, the day intends to create awareness for tiger conservation. The day is also known as Global Tiger Day. 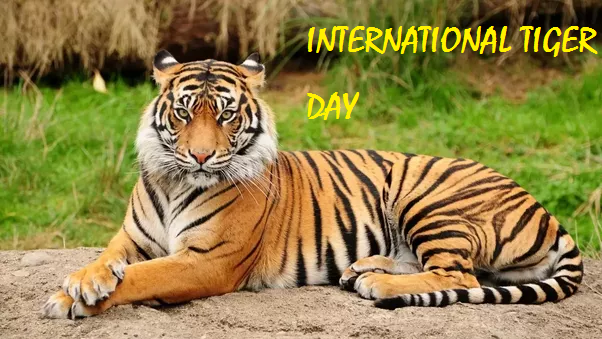 The day is dedicated to the largest of the world’s big cats and this magnificent creature with its distinct orange and black stripes and beautifully marked face. Tigers are on the verge of extinction and International World Tiger Day aims to bring awareness about this fact and trying to bring to an end to their decline. The international tiger day was first observed in 2010 and was proposed at an international summit that had been called in response to the shocking news that 97% of all wild tigers had disappeared in the last century, with only around 3,000 left alive. 1. Educate about tiger conservation. 2. Support government efforts to fight illegal wildlife trafficking. 3. Make a visit to your nearby zoo. 4. Take part in a tiger protection program. 5. Participate in campaigns organized in your local area. 6. Reach out people through social Medias. 7. Volunteer at various NGOs dedicated to wildlife protection.